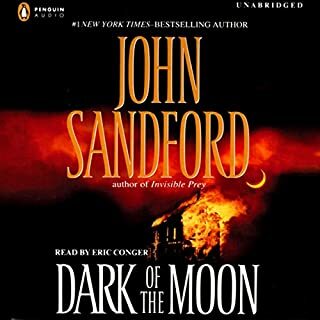 John Sandford's introduction of Minnesota Bureau of Criminal Apprehension investigator Virgil Flowers in Dark of the Moon was an immediate critical and popular success. Flowers is only in his late 30's, but he's been around the block a few times, and he doesn't think much can surprise him anymore. He's wrong. It's a hot, humid summer night in Minnesota, and Flowers is in bed with one of his ex-wives (the second one, if you're keeping count ) when the phone rings. It's Lucas Davenport. There's a body in Stillwater, two shots to the head, found near a veterans' memorial . And the victim has a lemon in his mouth. Exactly like the body they found last week. The more Flowers works the murders, the more convinced he is th at someone's keeping a list, and that the list could have a lot more names on it. If only he could find out what connects them all...and then he does, and he's almost sorry he did. Because if it's true, then this whole thing leads down a lot more trails than he thought it did - and every one of them is booby-trapped. 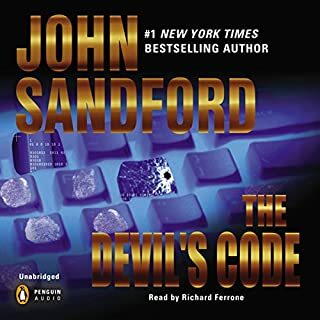 Filled with the audacious plotting, rich characters, and brilliant suspense, this is Sandford writing at the top of his game. 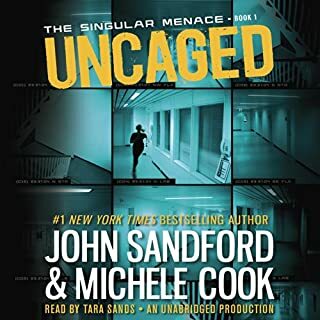 I have listened to a few other of John Standford's books and this is the best one I have heard so far. 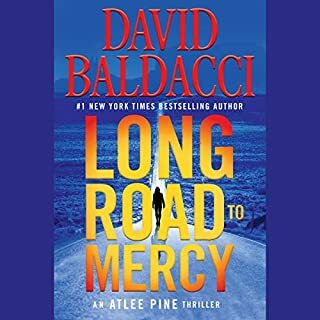 It has it all with a great deal of suspense that kept me trying to figure out who was the killer and I was not sure until the end of the book. There was plenty of action as well with the different murders and Virgil's always interesting personal life intertwined into it too. All of this and excellent narrating by Eric Conger made this a very enjoyable listen. Very satisfiying--straight ahead clever plotting, spare prose, wonderful dialogue, and narration that made this book come alive. I've read or listened to Sandford's other Virgil Flowers novels and highly recommend this work for those of you who enjoy mystery thrillers. Lesser known Sandford character is GREAT!! 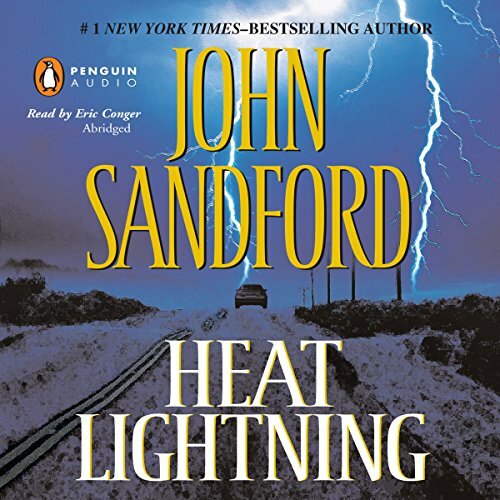 On a recommendation by Stephen King, I picked up my first John Sandford book ever. No, it was not anything in "Prey" series. This book was called "Rough Country" and the main character is a law enforcement officer by the name of Virgil Flowers. The mix of suspense and humor (Virgil is a sarcastic one) is exactly what makes for good reading/listening. Also, the narration is flawless. I enjoyed the character enough to find the other books in the series which includes "Heat Lightening". I can't say enough about the series as a whole. It's very entertaining and keeps you hooked. Virgil Flowers has his problems but he manages to sync in on the bad guy eventually and solve the crime. 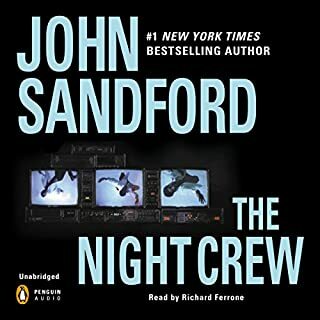 John Sandford is dependably entertaining and I look forward to each new volume in either this series or the Lucas Davenport books, knowing that I will enjoy the time spent with the characters and, if I happen to catch onto the scheme before the end of the book, I still enjoy finding out whether or not I was right. I guess I am not particularly critical--as long as the reader does a credible job, doesn't knock lozenges against his teeth, or mispronounce many words, I'm satisfied. I liked this book a lot and if you are fan of Sandford, you won't be disappointed. One thing I've learned about book series that are very chronological like both the Davenport and Flowers series, is that once one gets hooked, the easiest thing to do is just start at the beginning and go to the end. Some of the series are better than others, but I just look at them as one long story with different chapters. This Flowers book was well written well enough, the plot was interesting enough, convoluted enough to keep me interested, as have most of the Davenport books. There are spots which could use editing, but as I said, I'm just reading them all. And enjoying the easy ride. Flowers is somewhat like Lucas in his doggedness, and self confidence, but comes from a different and more contemplative POV. The interaction between Davenport and Flowers, from the inception of the Flowers series doesn't really add much in a literary sense, but I think most fans will like their connection. I gave a well-deserved scathing review of Conger's narration in the first Flowers novel. I am happy to say that he has improved greatly since then. This time, while he made no real aural distinction between characters, he was much more expressive, slowed down, and yes! fully enunciated the majority of the words. Now, I can look forward to reading the rest of the series. Eric Conger is invisible as a reader. Which is EXACTLY right. 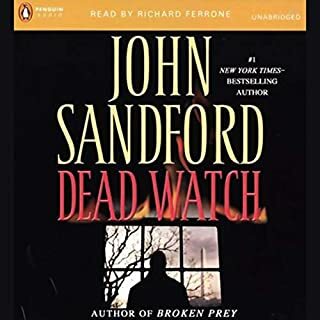 You simply don't notice how good he is and thta means he creates crystal clear window into another perfectly worked John Sandford creation. Virgil Flowers IS NOT Lucas Davenport lite. Davenport, of course, is Sandford's darkly complex mid-western cop... whose complexities sometimes intrude into the narrative a tad too much. Not so Flowers... But I gotta admit I like the way women have their way with him and vice versa. Heat Lighting's a surprising story. And that's what I want in a thriller - surprises. But... but... what's the story on that annoying music that seems to spontaneously interrupt the flow of this story? It's weirdly distracting. Some self-indulgent producer's intruded here. Hope s/he goes away in the next Davenport novel which I cannot wait to listen to. Would you listen to another book narrated by Eric Conger? I love his writing. Wish he'd write faster. But, waiting does do something for you. This is the second Flowers novel I've listened to and I'm not sure that I will listen to a third. I am a big fan of Sandford's Lucas Davenport series and I don't think this track measures up. It wasn't too difficult to see where this story was heading simply by a process of elimination. Flowers is not a bad characterization, he's just not Davenport. This story might have garnered four stars if it weren't for some silliness during the last hour or so of the listen. Sandford fans won't hate this book, but it won't leave you begging for more in the Flowers series.